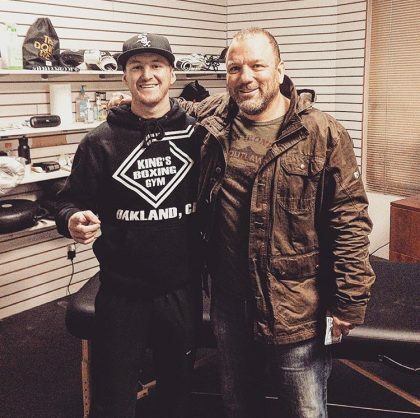 Joseph Hughes’ career as a Massage Therapist has seen him helping top-level athletes from UFC star Nate Diaz and NCAA Football players to weekend warriors from all walks of life feel and perform their best. 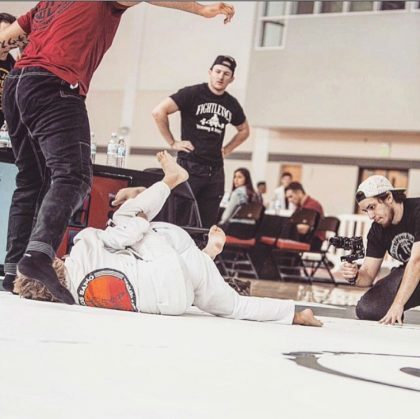 After graduating from National Holistic Institute’s Massage Therapy Training Program Emeryville Campus in 2014 he started his private practice Fightletics Performance in the world famous Graciefighter Brazilian Jiu-Jitsu academy. We couldn’t wait to interview Joseph to find out how he created a thriving sports massage and personal training business, his future goals, and his expert advice for those seeking a similar career path. NHI: We always love hearing about how people became interested in massage therapy. What’s your story on how you became interested in massage therapy? Joseph: I was a Kinesiology student transferring from junior college to a four-year university. 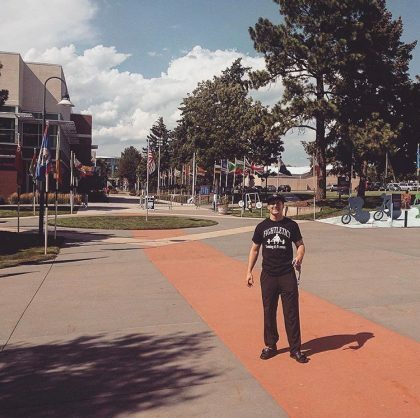 The Kinesiology program at the school was so impacted I had to wait an entire year to start. I wanted to separate myself from the pack (student body) so I decided to learn a modality of sports medicine. I chose massage therapy school and NHI. In NHI’s Core program I learned about; muscle recovery, mobility, flexibility, length-tension patterns, asymmetries, posture, tension on joints, etc.. I believed I could later apply that knowledge to athletic performance. 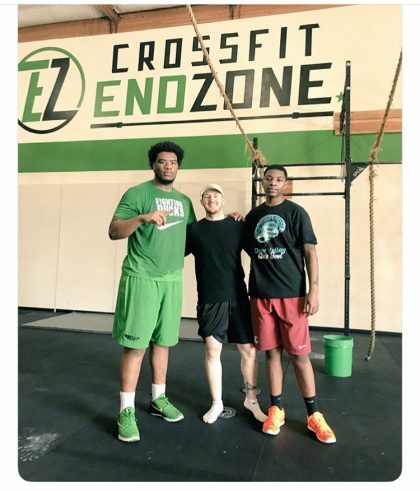 I was right, Soft-tissue work has had a huge impact on separating me from other trainers. How was your experience as a student in NHI’s Core program? NHI’s Core Program laid the foundation of everything I do today. I use the most simple and elementary techniques I learned in the Core Program in every single session. Besides the actual hands-on techniques I learned at NHI; SOAP charts, accountability, and interpersonal communication are also skills I learned in the Core program that I use day-to-day in my business. What jobs in the field did you have after you completed NHI’s program? Immediately after becoming a Certified Massage Therapist I started my practice Fightletics Performance out of the world famous Graciefighter Brazilian Jiu-Jitsu academy. I held many jobs thereafter in strength and conditioning; working with professional athletes, division 1 college programs, state championship contending high school programs, and private facilities. How long have you been running Fightletics Performance? Can you talk a little about what you do on a day-to-day basis? 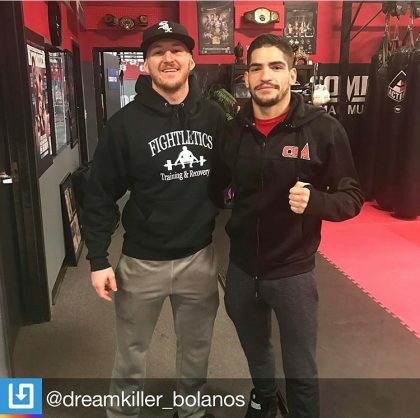 I thought of the name and began to build a lot of foundational principles of Fightletics Performance while working for a training company who hired me after I had completed my NHI externship with them. Fightletics Performance has now been in business going on four years. My day-to-day now looks a lot different than when I started my practice. When I was finishing hours and starting my practice I was open to every single opportunity to network and learn to become a better therapist. After NHI I had four other internships while operating my practice to become an expert in my craft. 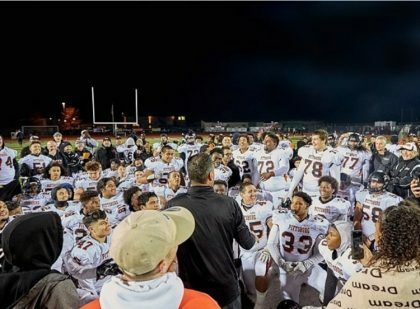 Now my day-to-day as a performance trainer includes 2-3 sessions of tissue work, 2-3 training clients, strength and conditioning for an athletic program in the East Bay Area, and an athletic performance class at 730pm. My clients range from youth to professional and everywhere in between. What are some highlights you’ve had working with athletes? I have had many experiences I would consider highlights so far in my career. 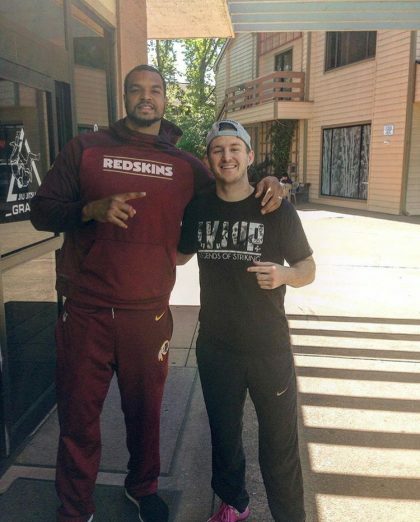 Some big milestones are working with NCAA football players for years then watching them get drafted to the NFL and eventually catching touchdowns in the Super Bowl, working with Nate Diaz and the Graciefighter team in the lead up to him fighting Conor McGregor in an event that shattered the UFC Pay-Per-View record, and being able to work with athletes preparing for the Rio Olympics. But, nothing is more satisfying than relieving a client who has been in chronic pain for years of all their pain. That has happened multiple times using the modalities I earned from NHI and it is the most satisfying feeling for me as a coach and therapist. You’ve already accomplished so much as a Massage Therapist and trainer, what goals do you have left to achieve, where do you see yourself in the future? When I began school both in academia and NHI my intentions from the root-outwards were very sincere. I wanted to help and assist. Whether it is a client experiencing discomfort or pain, bridging that gap to the “next level” for athletes, or increasing performance at the highest level; I want to help. I had the same intentions when I started as I do now and don’t plan on it changing. In the future, I want to continue what I’ve done in the past and I also hope to help other therapists and trainers achieve their goals and build their practices. I’m sure many NHI students are interested in following a similar career path as yours. What advice would you have for students who are interested in pursuing Sports Massage or Athletic Performance as a career? Know your “why.” It’s going to take time, money, effort, and sacrifice to reach your goals, but if your why is big enough you will be able to overcome any obstacles you may face while building your practice. I say this to anybody who learns from me. In this career, it’s not about the information you obtain, but the information you apply. The information you apply becomes knowledge and what you do with that knowledge is what helps you become a better therapist. Grow in all areas. Remember a “practice” is a cute word for a “business.” You must learn the business side as well as the hands-on side to be successful. As far as the hands-on side, new information comes out all the time. You must become a lifelong learner. Seek books, audio, and other therapists and trainers to learn from. People will always remember how you treat them. Treat them as a family member of your practice. Lastly, do not take your opportunity as a student of the National Holistic Institute for granted. Many times you will feel you are learning basic concepts but remember everything that you will apply in your career is built off the foundation that you learn at NHI. Thank you to Joseph for taking the time to share some of his journey with us. To learn more about Fightletics check out www.fightletics.org and follow Joesph on Instagram @fightletics and on Twitter @jojofightletics.